What is not for profit? 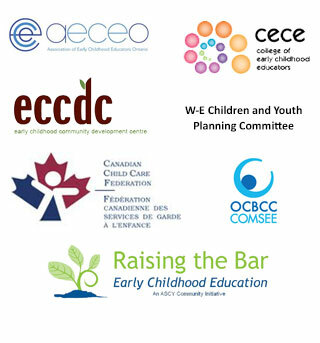 Typically, Child Care Services Facilities are incorporated as commercial or non-profit corporations. A commercial facility is operated by the owner operator and expects to make a profit. A non-profit facility is guided by a volunteer Board of Directors with an Executive Director or Supervisor who manages the day-to-day operation. All income in non-profit pays for the operation of the program and any surplus stays within the program. Our program is a non-profit program, which means all the income stays in the program for the benefit of the children. Our centre has a Board of Directors who meet monthly with the Executive Director to oversee the management of the school. A benefit of this approach is that the program can access government grants for salaries in order to keep the fees to parents reasonable. All cultures are included and all children, irrespective of their needs; this includes children with special needs. Subsidy is available for those who need it via Windsor Children’s Services. UNIFOR subsidy is also accepted by not for profit preschools. There are many types of programs to choose from: inquiry play-based learning, structured or unstructured programs, High Scope, Montessori, and Reggio to name a few. Each Child Care Facility should have a philosophy indicating what type of program is offered. We offer enriched early education with a quality program. Our Early Education programs include a purposeful play-based learning curriculum delivered through the children’s interests, as well as staff-initiated interests. We have some structure within our program, each classroom has their own daily schedule and their own outside time. Activities are planned and designed to meet the needs of that particular age group. We have guarantees in place for each age group to ensure the quality of our program. We offer a money back guarantee if you are not satisfied. Do you have qualified staff? The Ministry of Education assumes responsibility for all licensing of Early Education and Child Care programs. The Day Nursery Act specifies staff qualifications, number of children per room, and the ratio of staff to child, e.g. 1 staff for 3 infants. We have R.E.C.E. teachers in each room as well as experienced assistants .We do strictly adhere to ratio requirements or better. Each teacher is certified with C.P.R and First Aid, and participates voluntarily in professional development throughout the year. Our turnover rate is very low. Consistent staff provides consistency and stability for the children. What kind of meals are provided? What if my child has an allergy? The Day Nursery Act requires that meals are preplanned and that nutritional needs are met. The Health Dept. also checks sanitary practices. There are guidelines in place from the Ministry of Education for Allergy Management. We have a preplanned menu, based around the four food groups. We provide a hot, nutritious lunch with emphasis on child friendly food, e.g. pasta. Staff eat with the children and model good eating habits. Babies and toddlers are given whole milk to encourage brain and bone development. We offer both AM and PM snack, usually fruit in the afternoon. Allergies are taken very seriously. Major allergies are posted at the entrance of the school. All allergies are clearly posted in the appropriate classroom, and the kitchen. If the allergy is life threatening an individual plan for that child will be developed with the parent. This will include specific instructions, consequences and a procedure to follow. All staff, volunteers, and students read and sign each plan. Your child will receive a “safe” alternative prepared by the cook. How do you manage behaviour (discipline)? There are guidelines for behaviour management in the Day Nursery Act. Each program plans behaviour management based on their philosophy and the guidelines. Redirection and positive reinforcement is used to encourage appropriate behaviour .For aggressive behaviour we will restrict where the child will play; possibly next to a teacher. All programs expect the fees to be paid in advance at the first of the month. Some programs accommodate two installments on the 1st and 15th of the month. It is expected that payment will be made for the days your child is registered. Some programs charge for statutory holidays and some programs limit the amount of vacation allowed without pay to two weeks a year. Our parents’ pay for the days that the child is registered whether they attend or not. However, our program has unlimited vacation with two weeks prior notice. There are no fees charged for statutory holidays or vacation days booked out two weeks in advance. All programs have a policy that is guided by the Health Department and the Day Nursery Act. We expect common colds and runny noses, however we trust parents to know if their child is too sick to attend. If a child spikes a fever or has diarrhea, we will call you to pick them up. Our policy is that they are fever free without medication for 24 hours before returning and that diarrhea has subsided for 24 hours. Specific illness will have its own criteria, e.g. Hand, Foot and Mouth. Unfortunately sick days cannot be traded for other days. What if my child is upset when I leave? All programs will help your child to settle and have a good day. We comfort and reassure them that you will return. Getting children busy with toys or reading to them often helps. Sometimes just TLC and a hug is all it takes. Some separation anxiety is to be expected, but we will continue to work on keeping your little ones happy. Of course if your little one is a baby we will happily rock, sing, take out the buggy, or do anything else that makes them happy.